A Polish swimming champ has rejected an offer to coach Malaysia’s national swimming team after the country, which was to host the 2019 World Para Swimming Championships, banned Israeli athletes from taking part. Bartosz Kizierowski, who represented Poland four times at the Olympics, had initially accepted the offer, but in a scathing attack on the Malaysian government, the 41-year-old said there was ‘no place’ for discrimination in the sport. 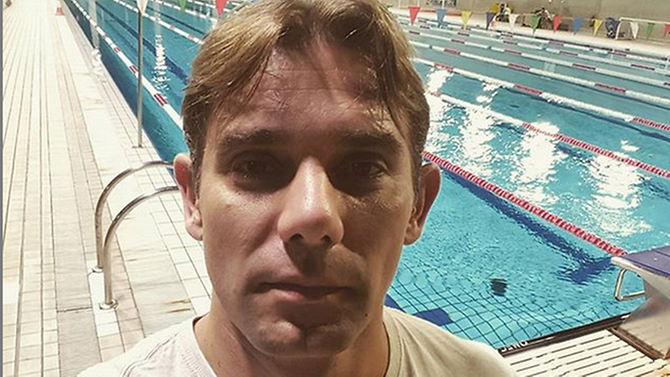 He posted on Facebook: “I was offered a very attractive coaching position from the Malaysian Swimming Federation. 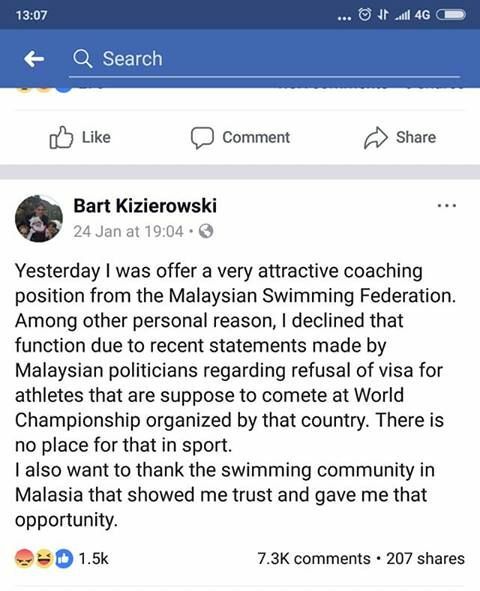 “Among other personal reasons, I declined that function due to recent statements made by Malaysian politicians regarding refusal of visa for athletes that are supposed to compete at the World Championships organized by that country. The International Paralympic Committee (IPC) has now stripped Malaysia, a majority Muslim country which officially doesn’t recognize the state of Israel, of its right to host the championships. 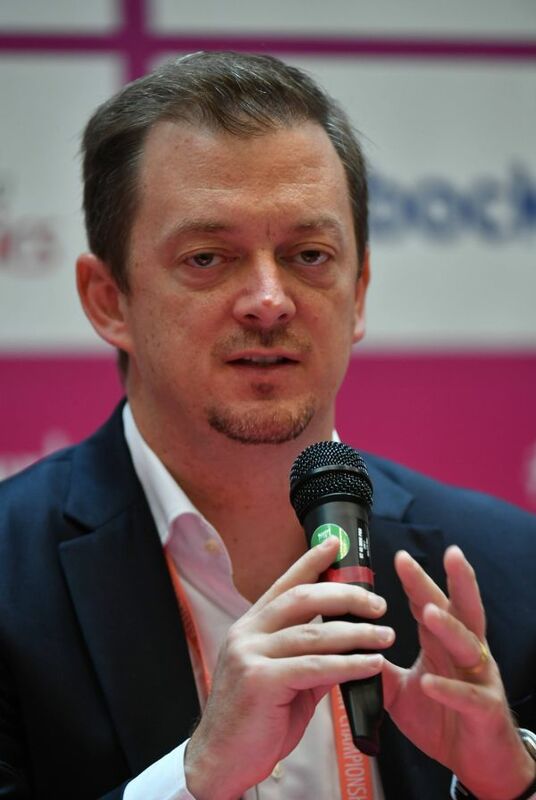 IPC President Andrew Parsons said: “We had assurances that all eligible athletes and countries would be allowed to participate in the event with their safety assured. “Since then, there has been a change of political leadership and the new Malaysian government has different ideas. “Politics and sport are never a good mix and we are disappointed that Israeli athletes would not have been allowed to compete in Malaysia. “All World Championships must be open to all eligible athletes and nations to compete safely and free from discrimination. Malaysia’s Minister of Youth and Sports, Syed Saddiq, who banned the Israel athletes has defended his move by saying that it was the position of the Malaysian government to support Palestine and not only register futile protests in the UN like other countries. He claimed that Malaysia would have lost their moral compass if hosting a sporting event was "more important than safeguarding the interest of our Palestinian brothers and sisters who are being mutilated time after time again". The IPC said it is now looking for a new host on the same dates - July 29-August 4 – to avoid upsetting the athletes’ training schedules.